Before Vice President Joe Biden squared off against Republican vice presidential candidate Paul Ryan in Thursday night’s debate, it was Biden, not Ryan, who’d been billed as the man with superior foreign policy experience. Biden, after all, has spent the past four years as an intimate observer at the highest level of government and, before that, had served as chairman of the Senate Foreign Relations Committee. But it was Ryan who energetically waded deep into a ten-minute of discussion American policy in Afghanistan – seemingly making the case for the United States continuing to station troops there for a prolonged, undefined period of time. Vice President Joe Biden shakes hands with Republican vice presidential candidate Rep. Paul Ryan during the vice presidential debate on Oct. 11, 2012 in Danville, Ky. The basic idea Ryan was expressing was simple and plausible – as he said at the outset of the lengthy Afghanistan debate segment: “We don't want to lose the gains we've gotten. We want to make sure that the Taliban does not come back in and give al-Qaida a safe haven” – as that country was in the years leading up to the Sept. 11, 2011 attack on the United States. Analysis: Joe Biden and Paul Ryan made their points in the only vice presidential debate but no clear winners as voters await the next presidential clash. Whether those Afghan trainees and soldiers can in fact “do the job” and whether they define “the job” to be done in the same way Biden and Ryan do were issues left to be debated another day. But it seemed a questionable strategic choice for Ryan to portray himself and Republican presidential candidate Romney as the men who wanted to commit U.S. soldiers and Marines to an open-ended deployment in Afghanistan. According to a Gallup poll in March, nearly three out four Americans think the United States should either get its troops out by the end of 2014, as the Obama administration has pledged to do, or even sooner than that. Only 21 percent said the U.S. should stay as long as it takes to accomplish its goals. Later he brought up the need for U.S. forces in a part of Afghanistan called “R.C. East” (which refers to Regional Command East) – not explaining to viewers what that was, where it was, or why it was strategically important. It might have been clearer to viewers if Ryan had been able to use a map and a pointer. 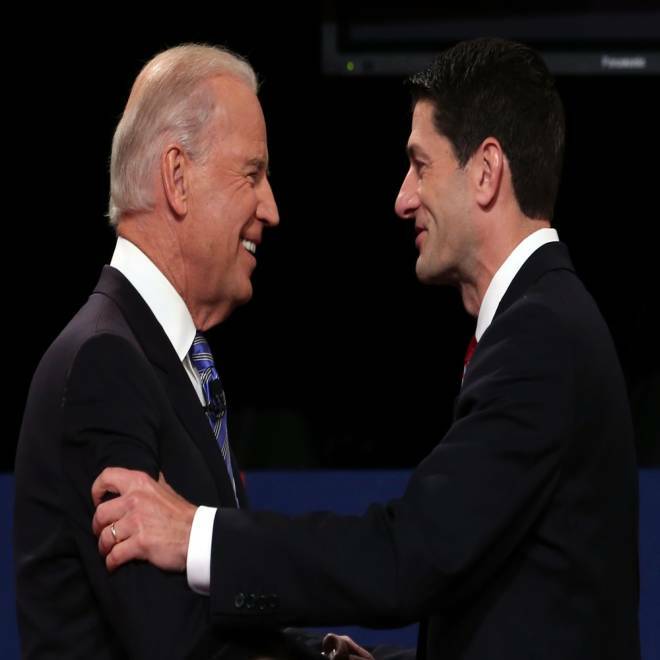 Ryan tried to connect these exotic far-off places with direct threats to attack Americans inside the United States – but his point may have gotten lost in the blizzard of place names and the sheer length of time wrangling with Biden. Ryan’s discourse on Afghanistan also seemed to play into Biden’s purpose of trying to portray Ryan and Romney as trigger happy, as the vice president did earlier in the debate when the topic was the Iranian regime’s efforts to build nuclear weapons. “We want to prevent war,” Ryan replied. Preventing war by maintaining a robust military is the Romney-Ryan position – but some viewers may have primarily gotten the message from Ryan of a prolonged commitment in Afghanistan.